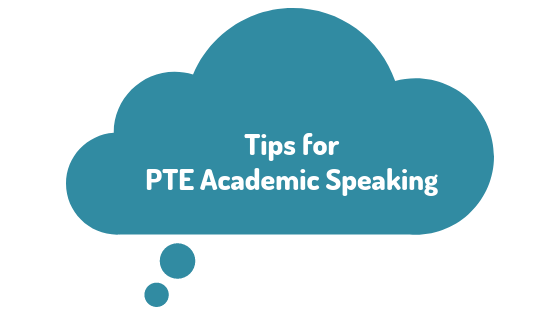 The speaking section on PTE is one of the trickiest sections since it involves multiple sections and tests your skills on not just speaking but also listening & observation, however this is a section which can give you a very high score and if practiced well & if the strategy is right even a score of 90 is not impossible, here we have complied some useful tips to score high on the PTE Academic Speaking section. Your introduction should be less than 30 seconds and can include a mix of 2-3 topics. Scan for hard words and Spell it clearly before it starts recording. Rising and falling tone for some words is important. Be aware of Plurals, don’t spell wrongly. Avoid uneven words or Irregular Phrasing. Beware of Inappropriate stress and incorrect pronunciation to some words. Before it starts recording, read the total sentence once. Rate of Speech should be moderate, do not speak too fast or too slow. Don’t fake any accent be natural. Be careful not to not add new text or omitting Listened text. If you can’t remember whole sentence at-least give importance to Keywords. Use the words like over, about, under… to point out the values on the axis. Don’t keep silent, speak something about the image as you see. Note the keywords by understanding the context of the topic. Use phrases such as ‘The lecture provides brief information about….’ or ‘According to the speaker, he said…..’ etc… to elaborate the given lecture. Avoid silence, speak something relates to lecture. Do not add your own story. Don’t forget the articles a,an,the before some words. Fluency and accuracy are the key to score high on PTE. Avoid Silences / long gaps while answering. Be familiar with question types and timings. Practice with headsets and in different atmospheres. Try to familiarize with different accents. Record yourself while practising and hear it to identify mistakes.